Why Airwheel Electric Scooters Have Been Popular Among Consumers for Such a Long Time? Abstract: It’s quite amazing for a newly founded enterprise to be popular among consumers since its birth. Yet Airwheel did it. It has been popular among consumers since it was founded in 2013. Why? Since it was founded, Airwheel has been popular among consumers because of its strong performances and low prices. 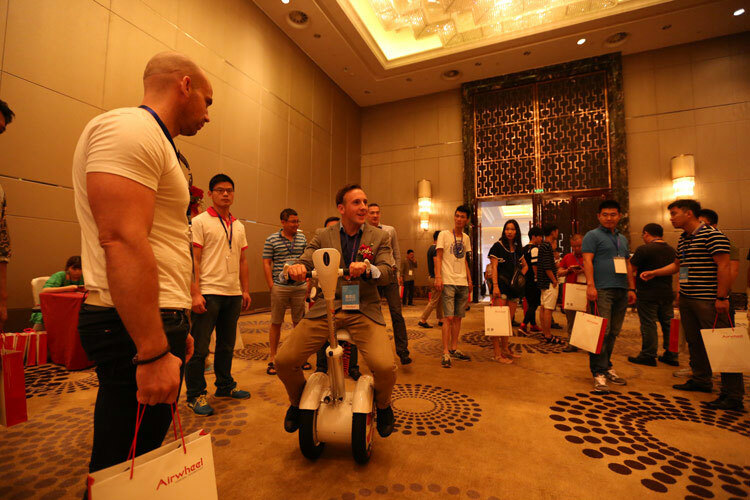 But high performance-price ratio is easy to be imitated so this won't make Airwheel the industry leader. So how can Airwheel keep its reputation for years? The recently introduced new model of Airwheel A3 sitting-posture scooters will give people the answers. The perseverance on top-quality hardware and software is the basis of good reputation among consumers. Airwheel never negotiates on providing consumers the top-quality products, so it always chooses the best vehicle units and develops the most intelligent and sophisticated operating systems for its products and this time it’s for the all brand new A series sitting-posture scooters. For the main body of Airwheel A3 intelligent scooter, Airwheel chooses Sony battery cores, Cheng Shin tyres, Nano material shells, alloy frames and intelligent CPU. The built-in operating system offers riders the most stable and safe riding experiences for its quick response to consumers’ actions and comprehensive protection functions including charge protections, low-battery protection and so on. Yet only sincerity won’t make Airwheel electric scooters the popular products. Airwheel also focuses on innovative exploitation on satisfying user’s needs. This time Airwheel made a bold exploitation of designing a seat on the electric scooter. 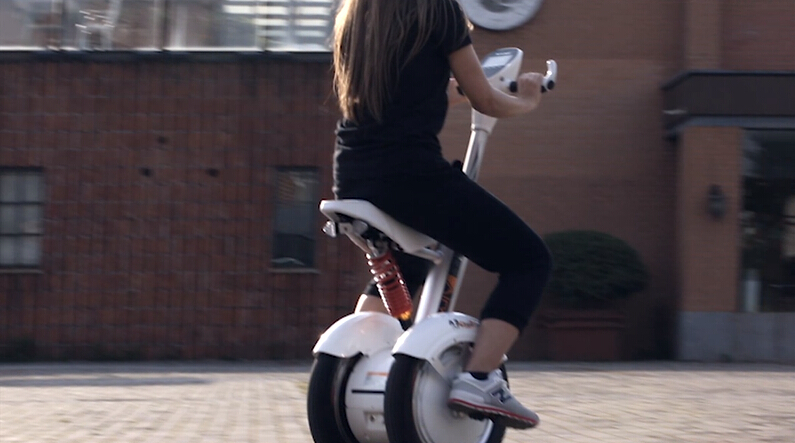 The era of sitting-posture ridding is started by Airwheel A3. The V-shaped genuine leather seat makes it possible for long-distance riding. The electronic brake system shows Airwheel consideration of female consumers, because it’s much easier to brake and one just needs to push one’s fingers. And the newly developed smart phone APP for Airwheel A3 shows Airwheel’s ambition of building an intelligent empire. Though this APP is just a start, Airwheel has integrated many functions into this APP like GPS switches and vehicle location function. More intelligent functions are added to the vehicle by the APP. Indeed, it’s the consumer-oriented enterprise philosophy that makes Airwheel the industry leader nowadays, and this will help Airwheel keep its advantages in the future. Next：Another Very Valuable Gift from Airwheel to Consumers—Airwheel A3 Sitting-posture Scooters.